Paige Spiranac pictured with Rory McIlroy and Niall Horan. A year ago in Dubai, Paige Spiranac reached a career and personal nadir, visibly reduced to tears as she discussed the heart-wrenching depression which had enveloped her since being tormented by online bullies. It had been brought on by missing the cut on her Omega Dubai Ladies Desert Classic debut a year earlier, in December 2015. Spiranac posted a 77-79 in her two opening rounds to finish 12 over par on the Majlis course at Emirates Golf Club, leading her to utter the famous phrase: “I think a bar of soap could have played better”. As she spoke out about the cyber bullying she faced on social media platforms following her professional debut in a press conference ahead of her return to Dubai in 2016, it all became too much for the American, who broke down addressing reporters. She fared even worse on her second showing here, a 13 over par seeing her miss the cut again as she finished in a tie for 102nd. One silver lining for the youngster, however, is that she’s come through the other side. At just 24, Spiranac doesn’t even know if playing on the Ladies PGA Tour features prominently in her future. But she’s excited about the alternative paths that lie ahead of her in 2018. “This year has been such a great one for me in so many ways. I really wanted to focus on being an ambassador for the game of golf as well as my charity work fighting against cyberbullying, which I’ve found have been two of the most fulfilling areas of work for me,” said the 24-year-old Colorado native. “It’s taken a while, but I’ve finally learned that you can be successful in unconventional ways, and I’ve been so happy now that I’m spending the majority of my time working on initiatives that will positively impact others. “As I’m moving through my career, I’m finding that my goals are shifting. After my first full year on tour working towards playing on the LPGA, I realised that while I loved golf, I didn’t love competing and the lifestyle of being on the road. Paige Spiranac is in Dubai this week. When pressed to name her future ambitions in terms of golf, considering she’s so young, Spiranac revealed stepping away entirely is an option. “Honestly, I don’t really know. Right now I’m just so grateful for all the opportunities I’ve been given that I’m trying to enjoy living in the moment as much as possible. Spiranac is perhaps more famous for her following on her social media accounts than her golf – and she is currently ranked a lowly 1,192nd in the world. She doesn’t even own a biography on the LPGA or Ladies European Tour websites at the moment. She was invited to last month’s Dubai Ladies Desert Classic as a guest but did not enter as a player. She is back in Dubai this week and was the official starter for the men’s Omega Dubai Desert Classic on Thursday. And despite all the bad memories Dubai must invoke, Spiranac admits she’s thrilled to be back in the Emirates. “Dubai and the whole team behind the Omega Dubai Classics have earned a special place in my heart after my experiences there the past two years,” insists the San Diego University graduate. Doing a lot of fun stuff this week! And I’m going to be as active as possible on here so I can take you along the journey☺️So tomorrow, I’ll be taking over the @omegagolfdubai account during the pro am with @rorymcilroy and @niallhoran! What questions would you like for me to ask them? A year ago she competed alongside Cheyenne Woods, cousin to Tiger, on this course. And even though she performed poorly, she is an admirer of the Majlis. “I would like to rate it low on my list because I played so poorly, but I can’t because it is just such an amazing course,” she said. Even though the attacks Spiranac suffered on social media following her professional debut in the UAE two years ago were particularly savage, she revealed she has actually been bullied from a young age. And whereas she’s not sure what the future holds in terms of golf, Spiranac is adamant she won’t let the trolls and keyboard warriors win. “There’s not a week that goes by where I don’t consider quitting one platform or another,” she said. “And I think every golfer has considered quitting golf at some point. But then I remember that’s what the bullies and haters want you to do – they want to force you to stop being you and to quit pursuing your dreams. “Plus, at the end of the day, I really do love playing golf, and I love interacting with all of the amazing people on the internet, so at least for now I have no plans on going anywhere. “When it comes to an athlete’s overall career, social media is such an amazing tool for speaking your truth and connecting with fans. But as a competitor, social media can be a huge distraction, especially at the elite level of any sport when often mental focus is the differentiator between winning and losing. And as much trauma as she’s experienced, especially online and in the public eye, during her fledgling career, Spiranac is determined to hold her head high and fight for others who have or are experiencing similar suffering. Even though she’s found it difficult talking about the abuse, she feels compelled to speak out with teenage suicide rates rising. “I’ve been bullied my entire life, even before I started playing professionally, so I really empathise with others who have also been bullied,” she added. “I just got to a point where I felt like I had to be part of the solution. It’s horrible that so many people, especially kids, are not just suffering, but suffering to the point of hurting themselves. If there’s anything I can do to improve someone’s life, I’m going to do it. “I feel like I’m more myself now on social media than I ever have been. I used to be a little afraid to speak out on issues that were important to me, but now I see how crucial it is to use your platform to affect change. Having risen to global stardom as a teenager, Niall Horan is in a better position than most to offer advice and support to ambitious youngsters looking to make it to the top. What may surprise you is that it’s the next generation of golf hopefuls who are the ones receiving that knowledge and guidance from the former One Direction star. Horan – a huge golf fan who regularly enjoys a round with both Rory McIlroy and Justin Rose – along with his management team, formed Modest! Golf just over 18 months ago, and will next year have two of their young stars on the European Tour. But just what was it that attracted the singing sensation to form a golf management company? “I’ve got a big passion for golf and so do the other directors. 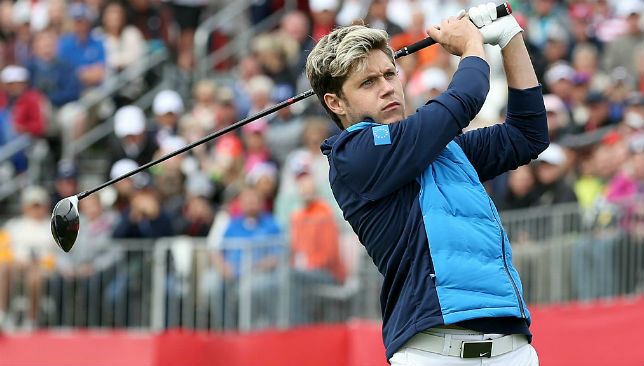 We all have a major passion for the sport and felt like we wanted to get into it,” Horan explained to Sport360˚. “I obviously spend a lot of time going to tournaments and seeing young guys at tournaments and I like watching people do well, so hopefully we’ll see these young guys come through the ranks and then taking on the European Tour. His music industry experience is, in many ways, easily transferable to the golf world. While Horan was selling out shows across the globe with One Direction as a teenager, his management team were on hand to ensure performing to the best of his ability was his sole focus. That’s very much what the 24-year-old and the Modest! Golf team are now doing with the young golf stars who they have on their books, as they bid to provide them with all the support they need to ensure they make it to the top of their profession. 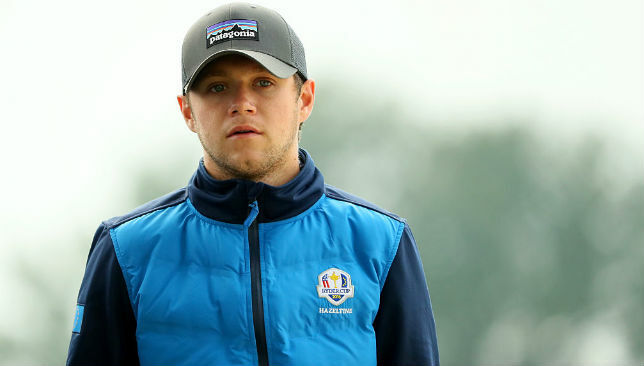 “I was hearing so many stories before I started the company from guys who felt like they weren’t managed and had to worry about other things apart from hitting golf balls, which shouldn’t be the case,” Horan added. “I can’t teach them how to hit a five iron, but I can do everything else for them. They shouldn’t have to worry about anything else apart from getting out on the course, shooting low and winning tournaments. Of those young golfers currently on the Modest! Golf books, it’s the two who have recently secured their 2018 European Tour cards that Horan is backing to make the biggest impact in the new year. “Connor Syme, our latest signing, has been making a bit of a run and has just recently got his card. 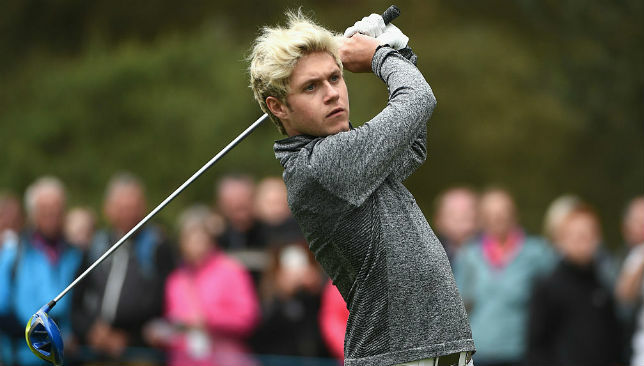 Christiaan Bezuidenhout, a South African guy, has had a great season and got his card as well, so I think the two boys on the European Tour will be looking to enjoy a good first season,” said Horan. “Then we’ve got Jack Singh-Brar, who only just missed out on getting his card by a couple of shots, so he’ll be looking to do a bit of damage next season.” While Niall focuses on helping those youngsters make a positive start to 2018, the Irishman will also have one eye on the comeback of golf legend Tiger Woods. “I’m obviously delighted (he’s back). 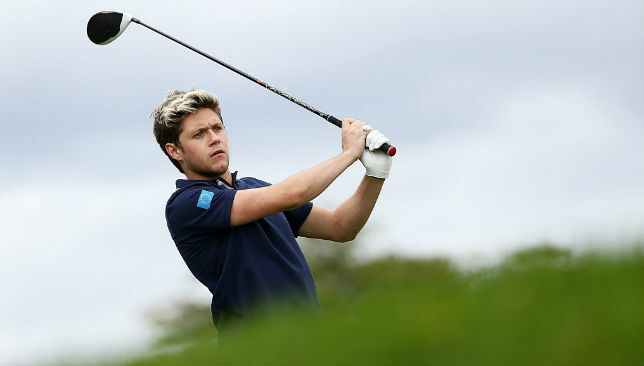 He’s the reason even lads like Rory and maybe those a touch older picked up a golf club in the first place,” Horan said. “Just generally in sport he has been unbelievable. “He changed the way golf was played. He was probably one of the first golfers to ever go into a gym or really look at it from a sport science point of view. He just changed the way everyone looked at golf. “I’m delighted to see him back. He looks like he is healthy and that swing looks more like it did about 10 years ago, so it’s nice to see him being free, loose and healthy. 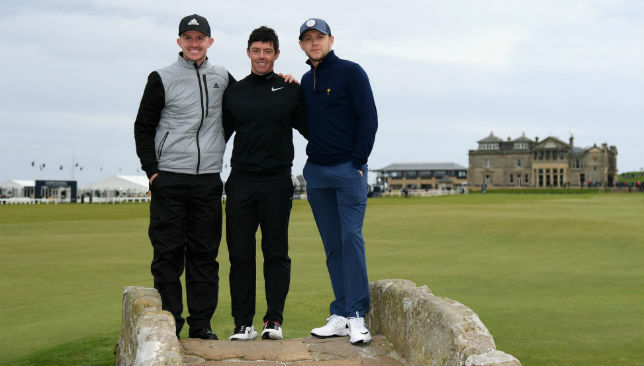 Horan was one of those who got into golf because of Woods’ exploits, and the singer is regularly out on the course with his close friend McIlroy. The two will be teaming up at the Omega Dubai Desert Classic ProAm tomorrow and Horan is very much looking forward to the experience. “I’ve been doing alright this year, but not playing as much as I would like to. I’m going to try and get a few rounds in before I head anywhere near a ProAm with one of the best golfers on the planet,” admitted Horan. “Luckily, when you’re playing with professionals like that, because you’re friends with them, it just seems like you’re playing with a friend who is really, really good at golf. It’s always the people who aren’t so good who are most critical. “When I first played with Rory and my other close friend Justin Rose, I was obviously extremely nervous, but then after a couple of rounds you realise you’re just playing with a couple of friends who happen to be very good. Horan and McIlroy will also be taking part in the Omega Constellation Clinic this Friday, with all fans who purchase tickets for any day of the Omega Dubai Desert Classic entered into a prize draw. The winner will also receive a set of Taylor Made golf clubs. For more information, head to www. omegadubaidesertclassic.com. 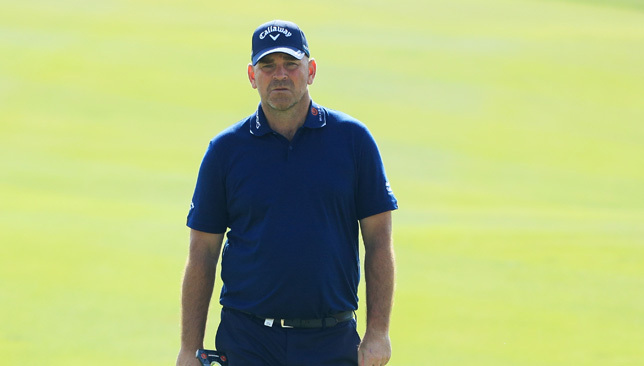 The tournament may be nine months away but European Ryder Cup captain Thomas Bjorn is brimming with excitement over the talent at his disposal. Dane Bjorn will lead Europe as they look to regain a title they dropped two years ago at Hazeltine – a first victory for the United States since 2008. Europe have dominated the competition in recent years – winning eight of the last 11 trophies stretching back 22 years, while they’ve claimed 11 of 19 titles since they first competed as Europe back in 1979. Despite enjoying the upper hand over the past four decades, much of the talk leading up to this year’s tournament has been of an American resurgence, led by the new generation of world number one Dustin Johnson and Jordan Spieth, who at 24, has already won three majors, including three of the last 12. But with a new wave of European talent rising to the surface in the last two years, Bjorn is excited about Europe’s prospects at Le Golf National in Paris. “When you wake up on Monday morning and Sergio (Garcia) has won in Singapore and Tommy (Fleetwood) has won in Abu Dhabi and Jon (Rahm) has won on the PGA Tour, you can’t help but thinking European golf is in very good hands right now,” said Bjorn, 46. “There are some great players. But then you look at what 12 you’ve got to be up against and American golf is also in great hands at the moment. That’s what’s ahead. “I saw Sergio yesterday, I had a chat with Rory this morning, and then your mind starts going back into Ryder Cup stuff. I feel like the last couple weeks have been a really, really good experience from a captain’s side but it’s also been a great experience to see what the players are. Whoever Bjorn leads into battle in France, it is likely to be a mix of rising youth, in-form and experienced talent. Fleetwood, who retained his Abu Dhabi HSBC Championship title last weekend, is coming off a stunning year, while Spain’s Rahm, 23, also enjoyed a stellar rookie season on the European Tour. Add the likes of Tyrrell Hatton, Matthew Fitzpatrick, Thomas Pieters and Alexander Levy to more established stars like McIlroy, Garcia, Justin Rose and Henrik Stenson, and you can see why Bjorn is excited. 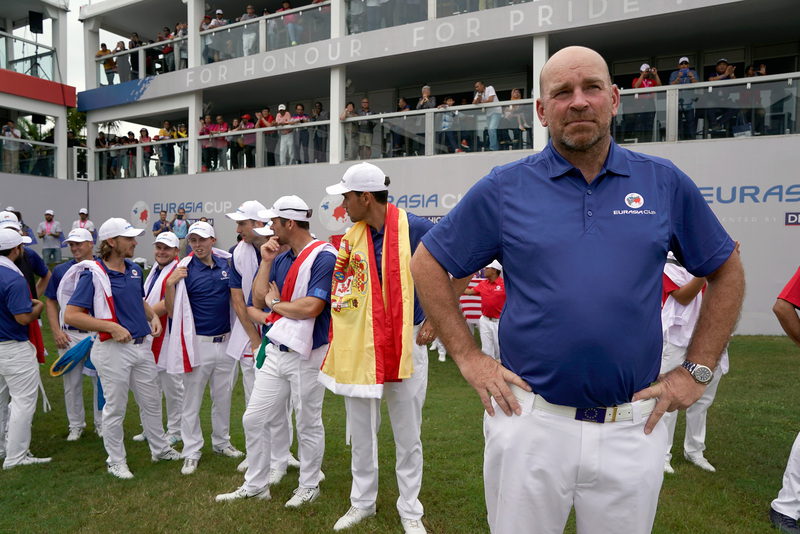 As a warm-up for the Ryder Cup, he captained Europe to a morale-boosting 14-10 win over Asia in the EurAsia Cup earlier this month, in Malaysia, where a host of players put their hats in the ring for selection later this year. “That’s a sign that there’s strength. I thought that’s something I’ll look back at and see as a good sign of where we are with European golf,” added Bjorn, who played on three Ryder Cup-winning teams 17 years apart – in 1997, 2002 and 2014. “They could also be there, most likely it won’t be those 12 but it will be a couple of others that will have a few words to say about that. “[Last week], you have 10 guys finishing in the top-20 out of those 11 that played [in the EurAsia Cup], and Rafa [Cabrera-Bello] finished, I don’t know, 40th or something, and Alex [Noren] wasn’t there. “But that’s a strong performance. They used the EurAsia Cup well. They used the confidence they built from the week. It just gives me a lot of belief that we are in a good place. “Now, where that will leave us in eight, nine months’ time, you know as well as I do that the golfing world moves and it goes like a yo-yo; people go up-and-down, and where it leaves us at, we’ll see. And even if they didn’t necessarily produce the results to back it up in Shah Alam against Arjan Atwal’s Asia, such as Frenchman Levy, his players still showed their captain something. Bjorn added: “The obvious ones we keep talking about, but then you look at how guys like Ross [Fisher, second in Abu Dhabi] has played; that he hasn’t won a golf tournament the last four or five years is a bit strange with the golf that he’s played. “Tyrrell is playing well and Alex Levy stood up really well. He had a tough start to the EurAsia Cup, and you see his head was down about that, and then he had a good experience in the singles and he brought good play into last week [finished seventh in Abu Dhabi]. “You just see these players grow with what’s ahead of them and they are desperate to be there.